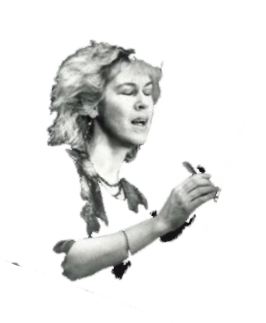 Site design by Bold Venture Software Ltd.
Polly should be, in fact, must be included in any worthwhile list of great English folk singers... She possesses one of those rare voices that would even sound good sing the ingredients from the back of a cereal box. Polly Bolton possesses a voice unparalleled in English Folk Music. John Philpot, Worcester Evening News. She conjures up an air of abandon while actually maintaining superb control. Polly works with absolute focus, incredible vocal chops and creative interpretation that all writers dream of. Polly is at her best when singing about love and it's darker side in particular....Polly makes full use of the emotional power of the song without the slightest touch of sentimentality. Clearly this is a singer of exceptional talent. The waters of Bolton, Shepherd and Dunachie run fast and complex. Get your feet wet; better yet go swimming, best of all drown in it. Loveliest of trees is a deeply rewarding album that stakes Polly's claim to be the loveliest of singers. Polly Bolton's vocals were superb. She really is a very sensitive and compassionate singer who ought to make the highest grade. Polly's voice be it solo or tracked with its self is exquisite but it is the intelligent settings of these tunes that give it a fresh substance. Polly Bolton's passionate, jazzy vocal style (she's a real belter when she wants to be) sets her apart from most British femme folk singers. Polly stands alongside Kalinka Vulcheva (Bulgaria), Abida Parveen (Pakistan) and Aretha Franklin (USA), but as far as Great Britain is concerned she is, quite simply, the best! What makes Polly so special is that she is a spectacularly gifted soloist who can completely give her self to supporting a writers/producer's vision....Polly works with the absolute focus, incredible vocal chops and creative interpretation that all writers dream of. Polly's singing is even more magical than l remembered from that one listening. Good luck with all your future projects and thanks so much for providing so much pleasure to so many people. Polly's voice is exceedingly powerful and expressive! I know that the CD will linger long in my changer. First stumbled across "Loveliest of Trees" and find it totally enchanting so l'm trying to collect everything by Polly. Please tell Polly that l think her voice is wonderful and quite unique. Her range is terrific and the top notes are so true and precise and yet delicate and unforced.